In seven (7) days of superb skiing and stunning scenery, you’ll discover the top resorts around Santiago and travel south to ski the beautiful Termas de Chillán. Each of the four most prestigious central Chilean resorts has its own unique character and charm. 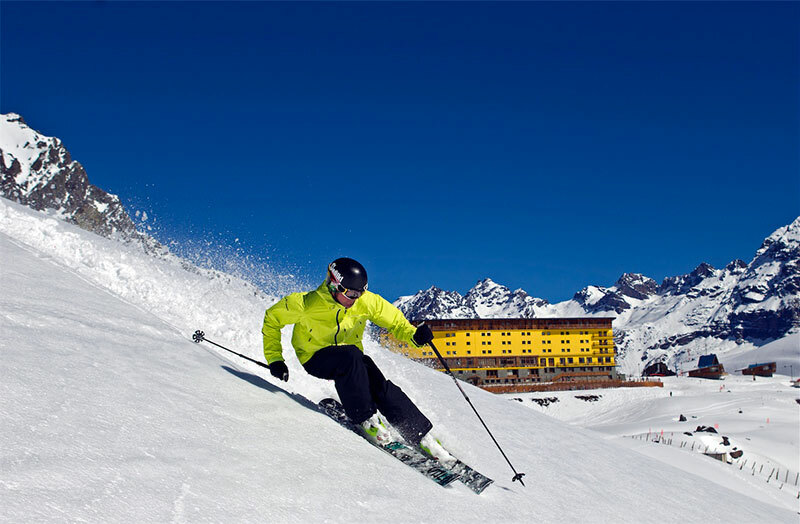 Valle Nevado is renowned for dry snow, varied terrain, and great views. El Colorado—a favourite among locals— is situated on a perfect cone and offers steep, fall-line runs. 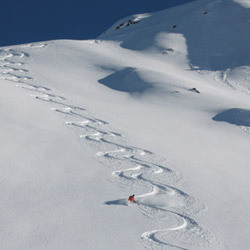 La Parva has a wide offering of lifts and long descents. Portillo, in the heart of the high Andes, is famous for excellent conditions, challenging terrain, and dramatic views. The Termas de Chillán resort is a perfect complement to the high, rugged, above tree line skiing of the central Andes. Situated at the base of Volcán Chillán, an active volcano of 10,243 feet (3,122m), the resort is surrounded by dense native forest, offers excellent ski and snowboard infrastructure, and normally enjoys dependable snow and good weather. Top off a great day on Chillán’s slopes luxuriating in exquisite natural hot tub. Ski Resorts Visited: Valle Nevado, La Parva, El Colorado, Portillo & Termas de Chillan.